How can you miss this most romantic ingredient during the season of Celebration of Love, the Valentines Day?…Chocolate. Have you seen how chocolate induces the lovely sense feeling called love. The rich cake or a mousse picture all evoke a craving and a melting in love feeling…. have you wondered if chocolate was playing the cupid???? 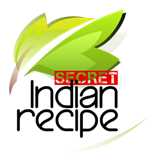 Seema sri's Secret Indian Recipe ! 2 nos Banana Yellow long variety. Preheat the oven for 10 minutes at 180 degrees. Line a cake tin with grease proof paper. Peel and mash the banana in a large mixing bowl. Into the same bowl add whole wheat powder, muesli, baking powder and baking soda. Gently fold the dry ingredients into the wet ingredients. Don't over mix. The mixture looks lumpy its fine. Pour the mix into the prepared cake tin. Bake at 180 degrees for 15 minutes Check with a skewer. If the skewer comes out clean the cake is done. Cool the cake remove from the moulds and spread a thin layer of the jam on top. sprinkle it with the icing sugar. Slice and serve you loved one . Happy valentines day!! !